that is my italian boy right there, along with a communist named Stalin. 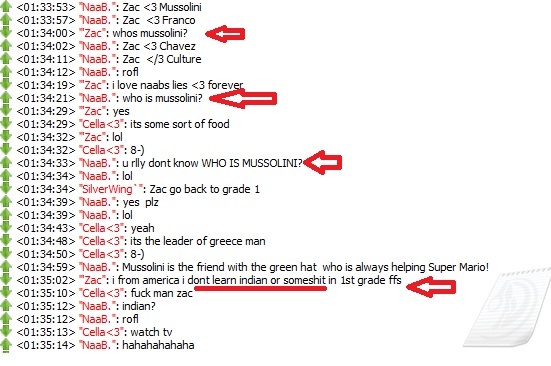 Mussolini is yuro peen so he obviously lost at whatever war he was involved in, not considered important history for a true American like my main man Zac. Last edited by 'Zac; 01-30-2013 at 07:59 PM. dept or debt because both are totally different things. And Mussolini, Stalin, and Hitler are all just basic history which is that they all fought in WW2 and were evil leaders because they murdered dozens of people. That's actually inaccurate, Zac. Most people in countries OUTSIDE of the US are taught full and rich history and geographical education. They know more about the United States than most Americans do. It's a fact.